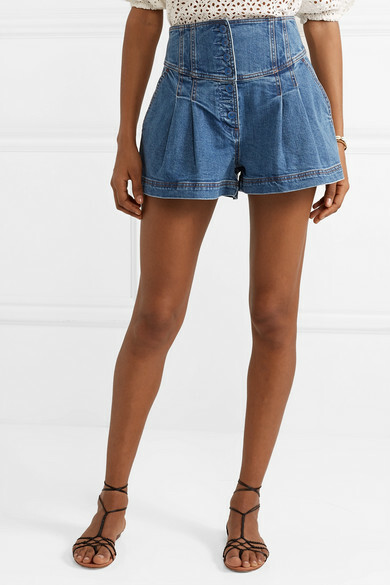 With just a few tweaks, Ulla Johnson gives classic denim shorts a breezy, bohemian vibe. 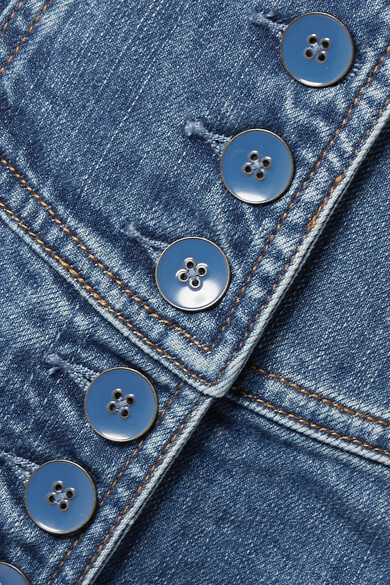 This 'Cass' pair has a paneled high-rise waist and fastens with a row of glossy buttons. The inverted pleats create just the right amount of volume. 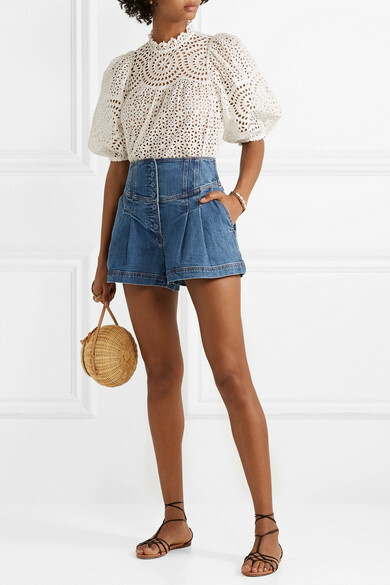 Shown here with: Ulla Johnson Blouse, Ulla Johnson Shoulder bag, Francesco Russo Sandals, Isabel Marant Bracelet.